A trendy metal mug that ticks all of the right boxes! Made from premium stainless steel with a double wall vacuum build these mugs are a smart way to enjoy your morning cuppa. 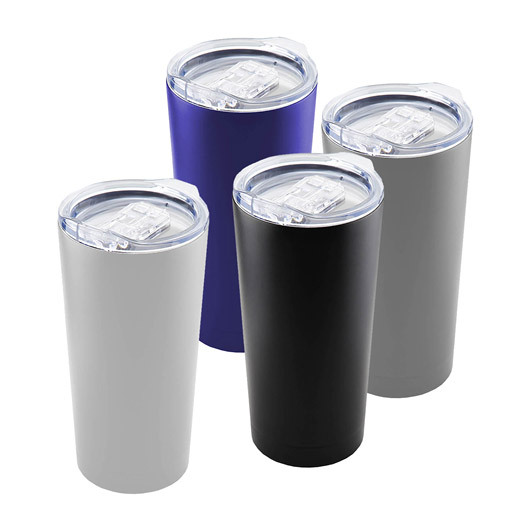 They are 100% BPA free, have a 600mL capacity and will keep your drinks hot or cool for longer due to their insulated makeup. The mugs feature a gloss painted exterior and electrolysis interior and come presented in a paper gift box. Please note these cannot be microwaved and can only be hand washed.